You know this thing about CUPCAKES COOKING GAMES? 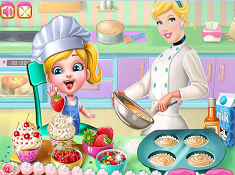 Cupcakes cooking games is one of the most popular category on Cute-Games.com, that's why we recommend you to play all these games with cupcakes cooking . Our developers have published 29 games with cupcakes cooking and the last game is Thanksgiving Cupcakes that have been published on 18.11.2017 20:00. 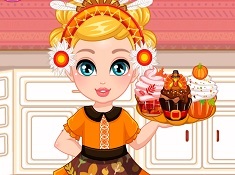 Thanksgiving Cupcakes its a part of Cooking Games category and until now its played 511 times. Try it now on Cute-Games.com! 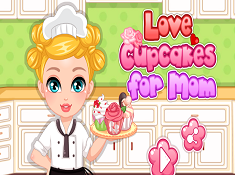 Love Cupcakes for Mom its a part of Cooking Games category and until now its played 540 times. Try it now on Cute-Games.com! Elsa Cooking St Patricks Day Cupcakes its a part of Frozen Games category and until now its played 517 times. Try it now on Cute-Games.com! If your like the Elsa Cooking St Patricks Day Cupcakes game you can write a comment in the game page. Recommend this game to your friends if you like it! Sweet Valentine Cupcakes its a part of Cooking Games category and until now its played 615 times. Try it now on Cute-Games.com! 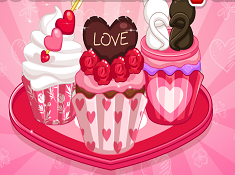 If your like the Sweet Valentine Cupcakes game you can write a comment in the game page. Recommend this game to your friends if you like it! Happy Valentines Day Red Velvet Cupcakes its a part of Ariel Games category and until now its played 675 times. Try it now on Cute-Games.com! 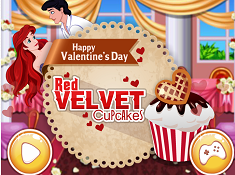 If your like the Happy Valentines Day Red Velvet Cupcakes game you can write a comment in the game page. Recommend this game to your friends if you like it! 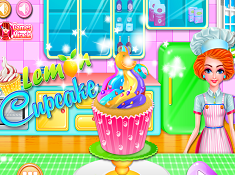 Lemon Cupcake its a part of Cooking Games category and until now its played 496 times. Try it now on Cute-Games.com! If your like the Lemon Cupcake game you can write a comment in the game page. Recommend this game to your friends if you like it! Easy to Cook Christmas Candy Cane Cupcakes its a part of Cooking Games category and until now its played 689 times. Try it now on Cute-Games.com! 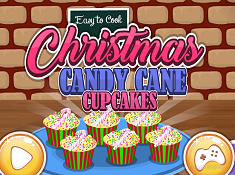 If your like the Easy to Cook Christmas Candy Cane Cupcakes game you can write a comment in the game page. Recommend this game to your friends if you like it! 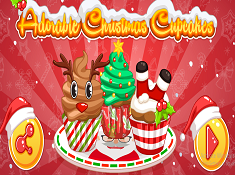 Adorable Christmas Cupcakes its a part of Cooking Games category and until now its played 495 times. Try it now on Cute-Games.com! 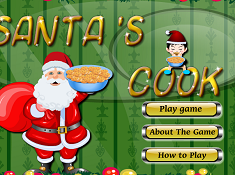 If your like the Adorable Christmas Cupcakes game you can write a comment in the game page. Recommend this game to your friends if you like it! Cindy Cooking Cupcakes its a part of Cinderella Games category and until now its played 746 times. Try it now on Cute-Games.com! 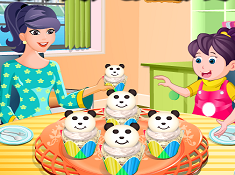 If your like the Cindy Cooking Cupcakes game you can write a comment in the game page. Recommend this game to your friends if you like it! Caramel Apple Cupcakes its a part of Cooking Games category and until now its played 526 times. Try it now on Cute-Games.com! 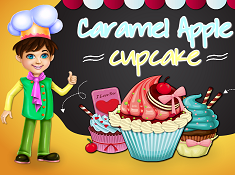 If your like the Caramel Apple Cupcakes game you can write a comment in the game page. Recommend this game to your friends if you like it! 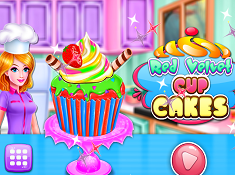 Red Velvet Cupcake its a part of Cooking Games category and until now its played 484 times. Try it now on Cute-Games.com! If your like the Red Velvet Cupcake game you can write a comment in the game page. Recommend this game to your friends if you like it! 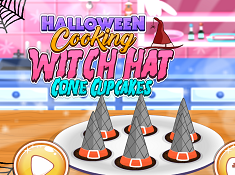 Halloween Cooking Witch Hat Cone Cupcakes its a part of Halloween Games category and until now its played 598 times. Try it now on Cute-Games.com! If your like the Halloween Cooking Witch Hat Cone Cupcakes game you can write a comment in the game page. Recommend this game to your friends if you like it! 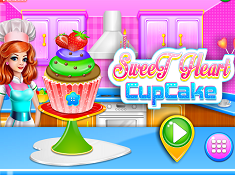 Sweet Heart Cupcakes its a part of Cooking Games category and until now its played 570 times. Try it now on Cute-Games.com! If your like the Sweet Heart Cupcakes game you can write a comment in the game page. Recommend this game to your friends if you like it! 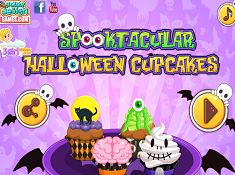 Spooktacular Halloween Cupcakes its a part of Halloween Games category and until now its played 556 times. Try it now on Cute-Games.com! If your like the Spooktacular Halloween Cupcakes game you can write a comment in the game page. Recommend this game to your friends if you like it! 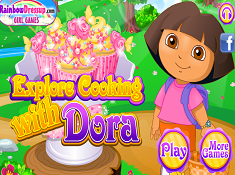 Explore Cooking With Dora its a part of Dora and Diego Games category and until now its played 492 times. Try it now on Cute-Games.com! 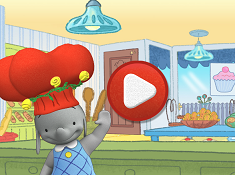 If your like the Explore Cooking With Dora game you can write a comment in the game page. Recommend this game to your friends if you like it! 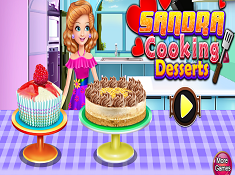 Sandrea Cooking Desserts its a part of Cooking Games category and until now its played 550 times. Try it now on Cute-Games.com! If your like the Sandrea Cooking Desserts game you can write a comment in the game page. Recommend this game to your friends if you like it! 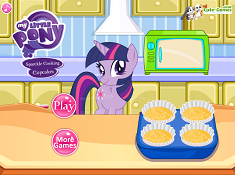 Cooking Colorful Cupcakes its a part of Cooking Games category and until now its played 468 times. Try it now on Cute-Games.com! 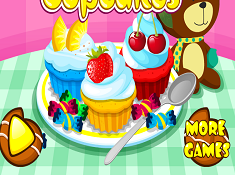 If your like the Cooking Colorful Cupcakes game you can write a comment in the game page. Recommend this game to your friends if you like it! 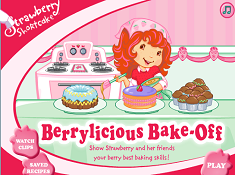 Berrylicious Bake-Off its a part of Strawberry Shortcake Games category and until now its played 3116 times. Try it now on Cute-Games.com! Frozen Sisters Cooking Cakes its a part of Frozen Games category and until now its played 909 times. Try it now on Cute-Games.com! 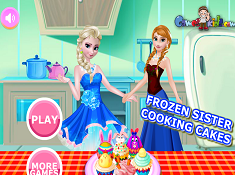 If your like the Frozen Sisters Cooking Cakes game you can write a comment in the game page. Recommend this game to your friends if you like it! 4th of July Sweetheart Cupcakes its a part of Cooking Games category and until now its played 526 times. Try it now on Cute-Games.com! 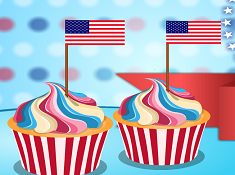 If your like the 4th of July Sweetheart Cupcakes game you can write a comment in the game page. Recommend this game to your friends if you like it! Elsa Cooking Oreo Cupcakes its a part of Frozen Games category and until now its played 901 times. Try it now on Cute-Games.com! 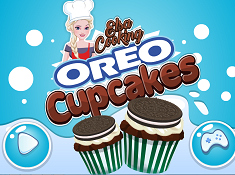 If your like the Elsa Cooking Oreo Cupcakes game you can write a comment in the game page. Recommend this game to your friends if you like it! Elsa Cooking Ginger Pumpkin Cupcakes its a part of Frozen Games category and until now its played 681 times. Try it now on Cute-Games.com! 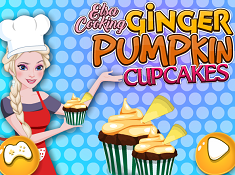 If your like the Elsa Cooking Ginger Pumpkin Cupcakes game you can write a comment in the game page. Recommend this game to your friends if you like it! Elsa Cooking Eggless Vanilla Cupcakes its a part of Frozen Games category and until now its played 613 times. Try it now on Cute-Games.com! 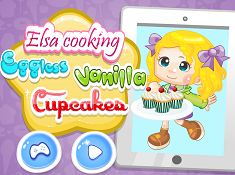 If your like the Elsa Cooking Eggless Vanilla Cupcakes game you can write a comment in the game page. Recommend this game to your friends if you like it! Elsa Coconut Cupcakes Frosting its a part of Frozen Games category and until now its played 883 times. Try it now on Cute-Games.com! If your like the Elsa Coconut Cupcakes Frosting game you can write a comment in the game page. Recommend this game to your friends if you like it! Cheese Cupcakes its a part of Cooking Games category and until now its played 719 times. Try it now on Cute-Games.com! If your like the Cheese Cupcakes game you can write a comment in the game page. Recommend this game to your friends if you like it! 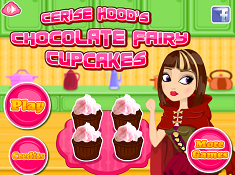 Find More About cupcakes cooking games!